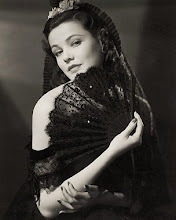 Gene Tierney, was an American film and stage actress. It has been said she was one of the great beauties of her day, she is best remembered for her performance in the film, Laura (1944). Plymouth Adventure(1952) drama made by Metro-Goldwyn-Mayer. Director Clarence Brown and produced by Dore Schary. 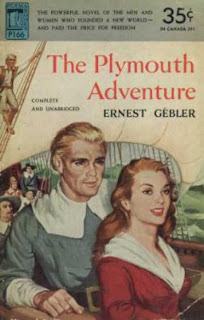 Based on Helen Deutsch, novel The Plymouth Adventure by Ernest Gebler. Cast:Spencer Tracy, Gene Tierney, Van Johnson, Leo Genn with Barry Jones, Dawn Addams, Lloyd Bridges and John Dehner. In the summer of 1620, a group of pilgrims set sail from the Southampton dock to travel to America. Their trip has been financed by Virginia investors, who plan to make a deal with the voyagers to work five days a week for the Virginia company. Young carpenter John Alden is ready to see the new world and signs on for the voyage. The Mayflower's Captain Jones, takes payment from Mr. Weston of the Virginia company to change the ship's course to New England but to keep it secret. After a night of drinking at the local tavern he comes back on board, attracted to Dorothy Bradford, the wife of William Bradford. Jones tries to force himself on her, but her screams call attention. In the morning, the Mayflower and the Speedwell set sail, to see the new world. After a couple of weeks on the ocean, the Speedwell is starting to sink and Jones makes the decision that both ships will return to England. In Plymouth, eighteen of the Mayflower pilgrims want to stay in England. 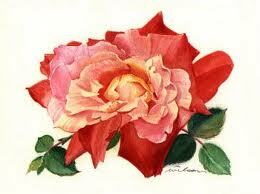 Those on the Speedwell will be allowed to sail with them, even though there is chance they may run out of supplies. Soon the weather turns cold and some of the pilgrims come down with fever. A large storm hits( the storm scene is amazing). When a woman believes that her son is on deck, Bradford goes to find him and falls into the water, but is saved by Jones and Gilbert. As the huge storm rages, the boat is damaged . After the storm passes, the voyage has taken its toll on the pilgrims. Dorothy finds Jones on deck, he admits his feelings for her. Two months into the voyage, the pilgrims bring William on deck, but as he looks out, he dies. After they bury him at sea, they spot land. At first the pilgrims think that they have reached Virginia,but find out later that it is New England. When Bradford and his men go to see Jones, he tells them that they will be staying in New England. Bradford, believes that their stop in New England was not by accident. Bradford then suggests the new plan to the pilgrims. Before leaving the ship, Bradford tells Dorothy how much she means to him. Will she betray her husband? Cast: Spencer Tracy, Gene Tierney, Van Johnson, Lloyd Bridges. The Plymouth Adventure Movie Trailer. 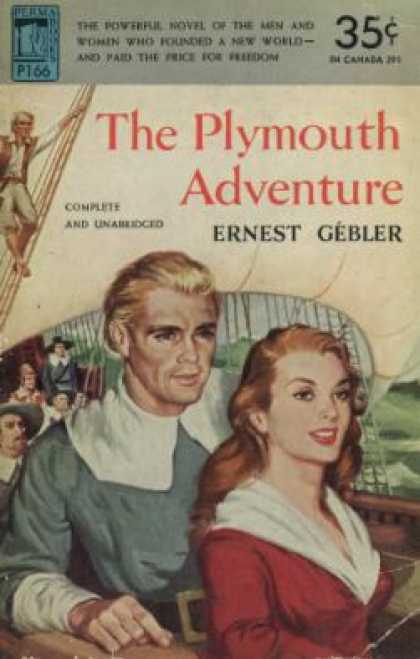 "The Plymouth Adventure," which was the result of five years' research on the Pilgrims' crossing from England to Massachusetts in the 17th century. The 1950 book was an international bestseller and has been condensed as a school textbook on the Mayflower's place in American history. 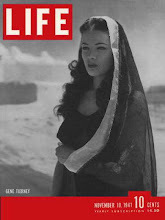 Gene Tierney, One of my favorite actors. Beyond her incredible physical beauty she also had beautiful spirit. A combination that makes Gene so unforgettable today. Tyrone Power and Gene Tierney. 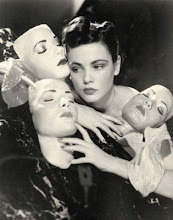 Welcome to Noir and Chick Flicks Gene Tierney Page. Click picture to return to Noir and Chick Flicks Home Page. 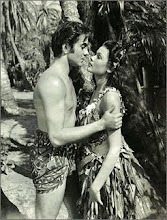 Was offered the role of Linda Nordley in Mogambo (1953), but was forced to turn it down due to pregnancy. Grace Kelly, who was cast instead. GENE TIERNEY spoke fluent French. She appeared in five films with Dana Andrews: Tobacco Road (1941), Belle Starr (1941), Laura (1944), The Iron Curtain (1948) and Where the Sidewalk Ends (1950). Click to watch you tube video. 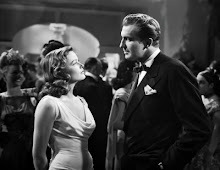 Vincent Price and Gene Tierney performed in 4 films together. Hudson Bay (1940), Laura (1944), Leave Her To Heaven (1945), Dragonwyck (1946). Click to view you tube movie clip. Tyrone Power and Gene Tierney were voted as one of the top 20 Romantic screen couples of the Golden Age of Hollywood. Gene Tierney and Tyrone Power filmed 3 movies together: Son of Fury (1942), The Razors Edge (1946),That Wonderful Edge (1948). They were once romantically involved. Click to view you tube movie clip. 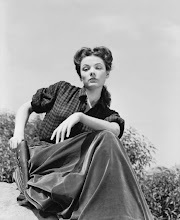 Gene Tierney performed in 5 Westerns. Leave Her to Heaven (1945). Film noir. Cast: Gene Tierney, Cornel Wilde, Jeanne Crain, with Vincent Price, Darryl Hickman, and Chill Wills. The Egyptian (1954). Epic film. Directed by Michael Curtiz and produced by Darryl F. Zanuck. It is based on Mika Waltari's novel and the screenplay was adapted by Philip Dunne and Casey Robinson. 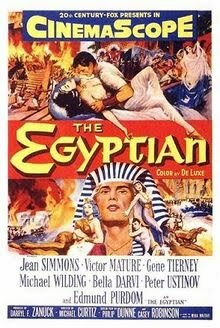 Leading roles were played by Jean Simmons (Meryt), Victor Mature (Horemheb), Gene Tierney (Baketamon), Michael Wilding (Akhnaton), Edmund Purdom (Sinuhe), Bella Darvi (Nefer), Peter Ustinov (Kaptah) and Tommy Rettig (Thoth). Cinematographer Leon Shamroy was nominated for an Oscar in 1955. 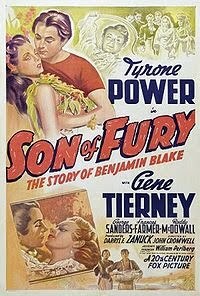 Son of Fury: The Story of Benjamin Blake is a 1942 adventure film directed by John Cromwell, starring Tyrone Power and Gene Tierney. 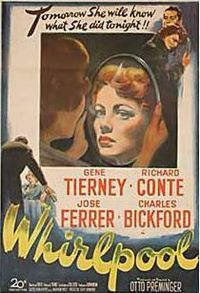 Whirlpool (1949) is a thriller film noir directed by Otto Preminger and written by Ben Hecht (under the blacklist pseudonym Lester Barstow) and Andrew Solt, adapted from Guy Endore's novel Methinks the Lady. The film Stars Gene Tierney, Richard Conte, José Ferrer, and Charles Bickford. 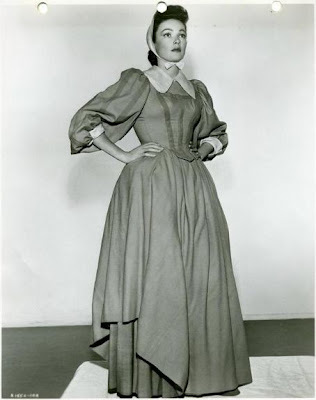 The Secret of Convict Lake is a 1951 black-and-white western film. The film was directed by Michael Gordon, produced by Frank P. Rosenberg and music by Sol Kaplan. The film was a critical and commercial success for Ford and Tierney. Bell for Adano (1945) is a film directed by Henry King starring John Hodiak and Gene Tierney. 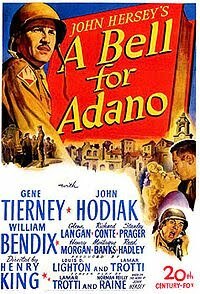 The film was adapted from the novel A Bell for Adano by John Hersey, which won the Pulitzer Prize in 1945.